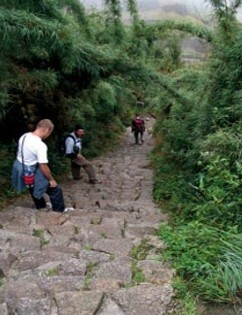 Following Bingham's footsteps, the Inca Trail to Machu Picchu is rated among the ten best trekking trails in the world because of its striking beauty, ancient Inca ruins and diverse ecological zones. 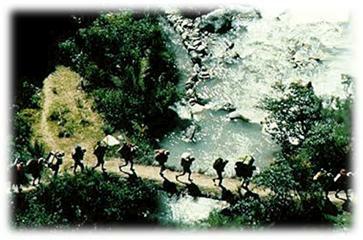 This route traverses very diverse terrains, from high desert plateau to tropical Andean rainforest. Following an ancient Inca trail, we will be walking past mysterious archaeological sites half-cloaked in jungle overgrowth that makes it look like you are discovering them for the first time. 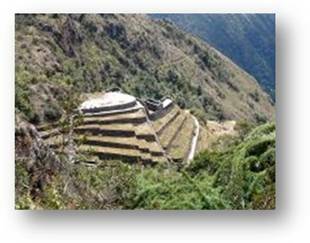 This is our selection of Inca Trails hikes to Machu Picchu Peru, Choquequirao and Ausangate, the walking adventures following the Bingham's footsteps.